Gorman-Rupp's SM Series line features Mine Safety and Health Administration (MSHA) approved submersible pumps for coal and gassy mines. 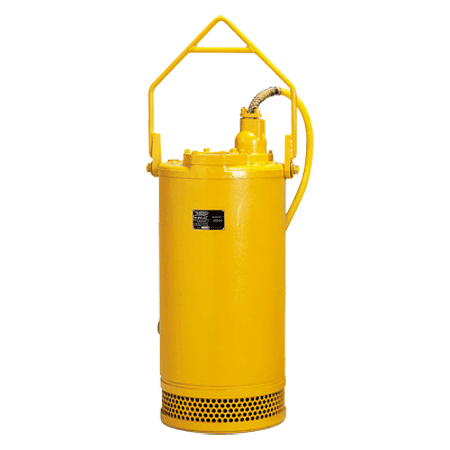 Many models are available with stainless steel fitted parts or all-stainless construction for pumping in severe corrosive/abrasive applications. Standard with NEMA type 10 explosion-proof control box. Gorman-Rupp SM Series pumps are designed for cramped quarters and hard-to-reach places where other pumps can't go. They're light in weight, which makes handling and installation simple. And these pumps have only two moving parts and three wearing surfaces so maintenance and repairs are minimal.